Deutsche Welle: A US-backed draft Security Council resolution was presented to the UN. It proposes more stringent UN actions against peacekeepers who abuse or fail to protect civilians. The proposed decision had varied reactions from other countries. The response from Russia, China, and other troop-contributing countries was restrained, whereas Bangladesh, a blue-helmet contributor, warned of the possible fall-out from financial cutbacks. The United States would present a draft Security Council resolution aimed at “improving peacekeeper performance” and holding peacekeeping failures and abuses to account, Haley said. According to the draft text, peacekeepers could be sent home, replaced or not paid if they are involved in misconduct. Among other measures, the draft resolution mandates reporting of “performance failures,” fosters “accountability measures for failures of performance and concrete incentives for stronger performance,” and advocates “the role of data in improving troop performance,” she said. 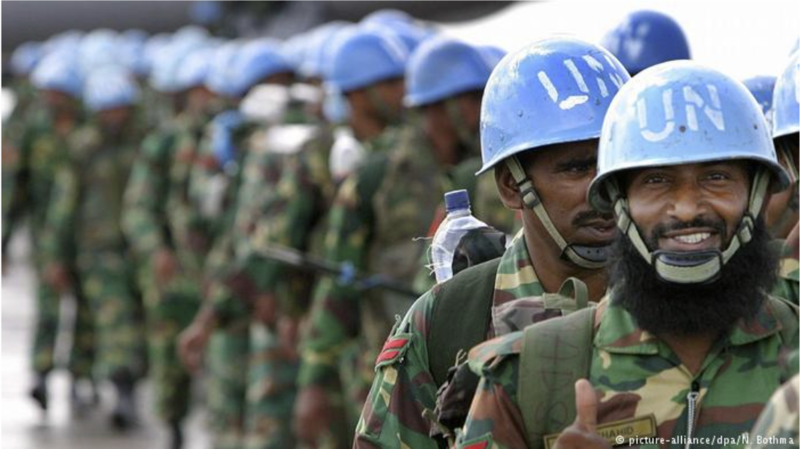 The UN deploys 96,000 peacekeepers who serve in 14 missions worldwide. The US has sought to cut the annual peacekeeping budget of $6.9 billion (€5.9 billion), of which it funds 25 percent. No Comments on "US Aims To Punish UN Peacekeepers Responsible For Abuses | Deutsche Welle"